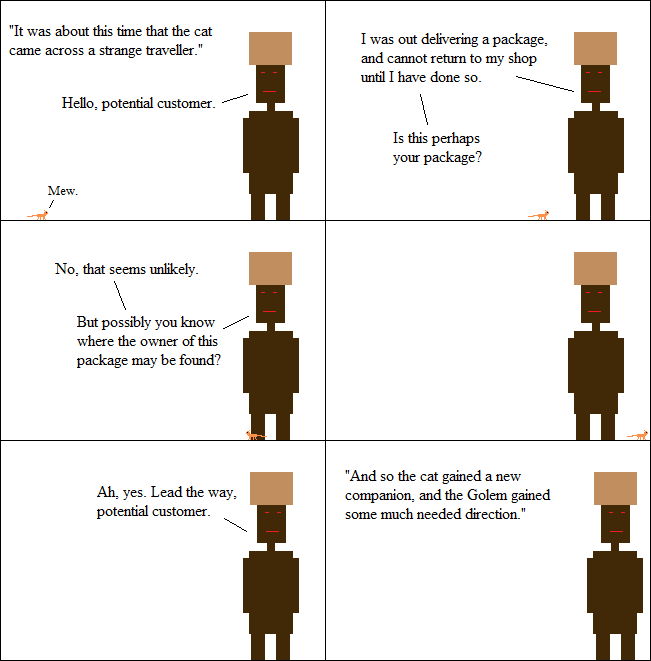 Inspired By True Events - Customer Service Golem has been carrying a box on his head for three weeks. Customer Service Golem has been carrying a box on his head for three weeks. I hope everyone else is excited for the return of Customer Service Golem, imaginary readers. He’s one of my favorite little-used characters.